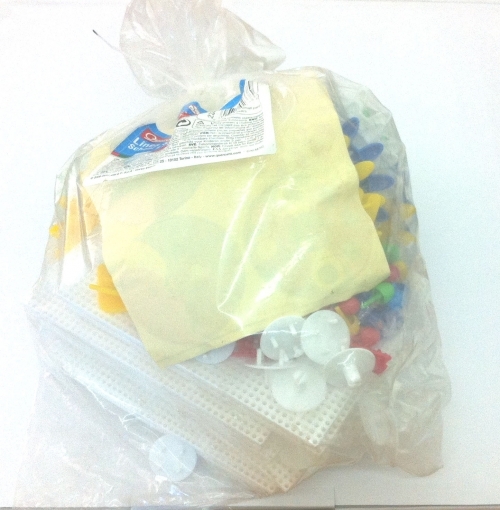 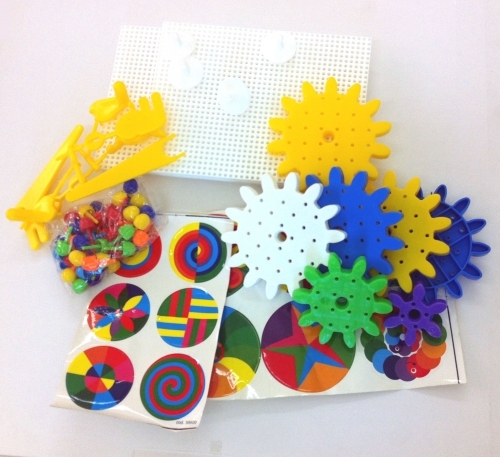 The Educational Bulk Pack provides hours of great fun while introducing children to some basic principles of mechanics. 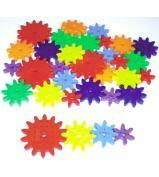 Try all possible combinations to make a base with the interlocking plates, and then insert axles and connect gears so that they rotate at the same time. 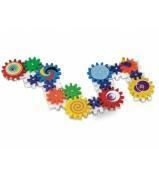 Finally, turn the crank to start a spectacular chain reaction and watch the beautiful visual effects. 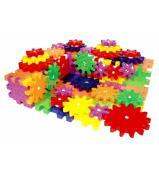 Each gear is decorated with a different design that stimulates colour perception and creativity. 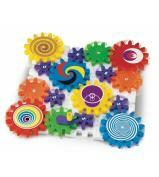 Kaleido Gears is made of durable and washable plastic that is both safe and unbreakable.